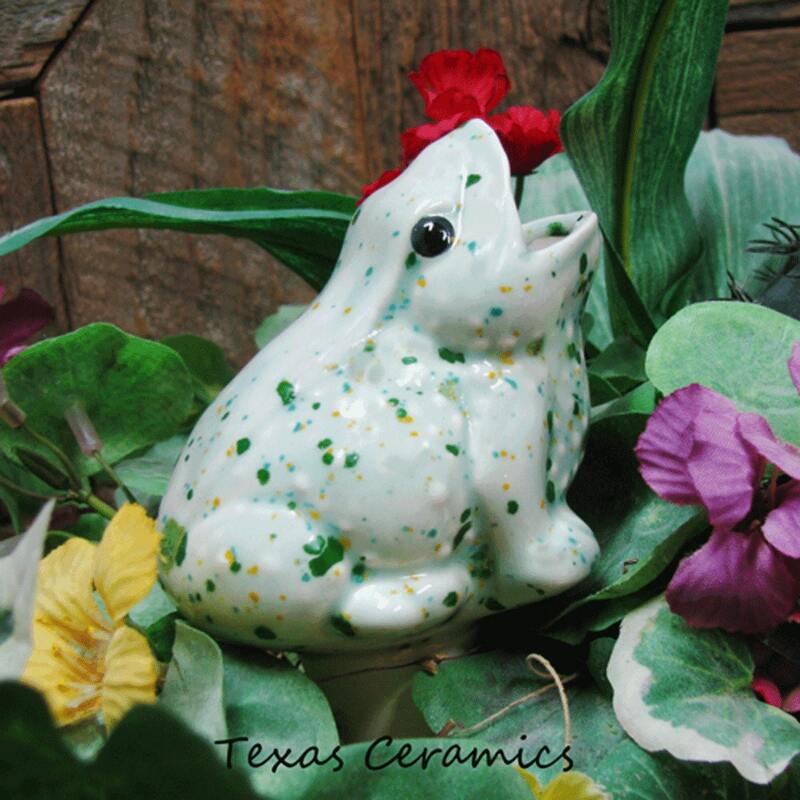 This ceramic garden frog with an open mouth is a Plant Tender or Water Feeding Spike made of kiln fired ceramics and finished in a glaze called Herb Garden. Plant tenders are used to maintain the soil moisture of potted plants and container gardens, it can be used for plants in indoors or outdoors. They also provide a little decorative touch to plants. 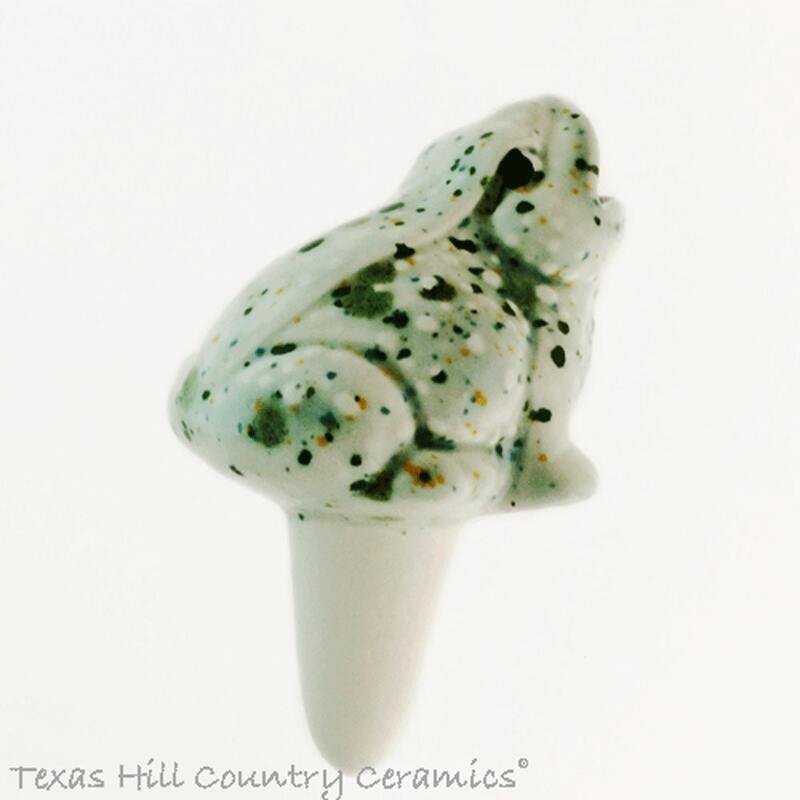 • The frogs open mouth at top of the body is approximately 1 1/4 inch in diameter, the drainage spike that is inserted into the soil is approx. 1 3/4 inches long. 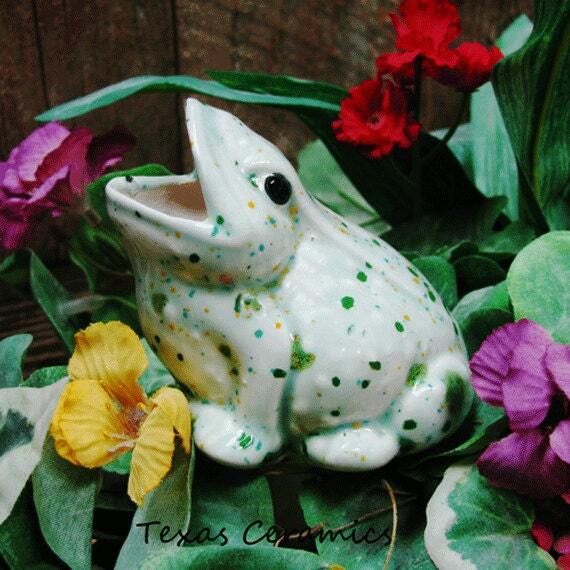 Each plant tender is made of domestic ceramic slip and kiln fired. 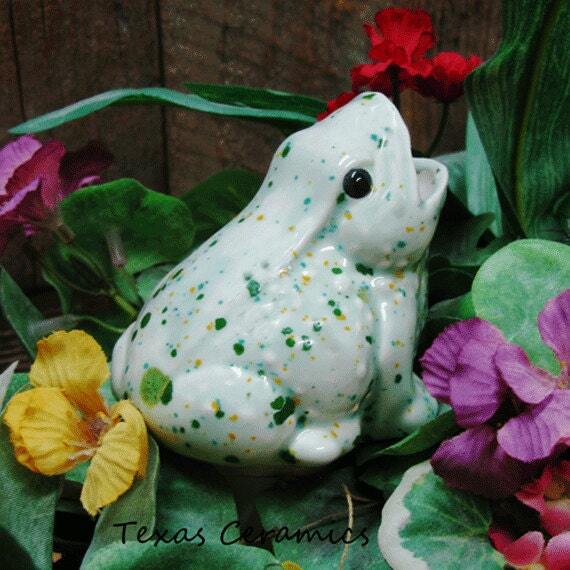 All glaze used is lead free and non toxic. Made in the USA, all materials used to create this piece are from the USA. Very cute! I love the color. I’m excited to put this in a container garden my 3 year old and I will be planting when the weather warms up. So cute. Great, quirky gift. Exactly as pictured. It's keeping my sage very happy! 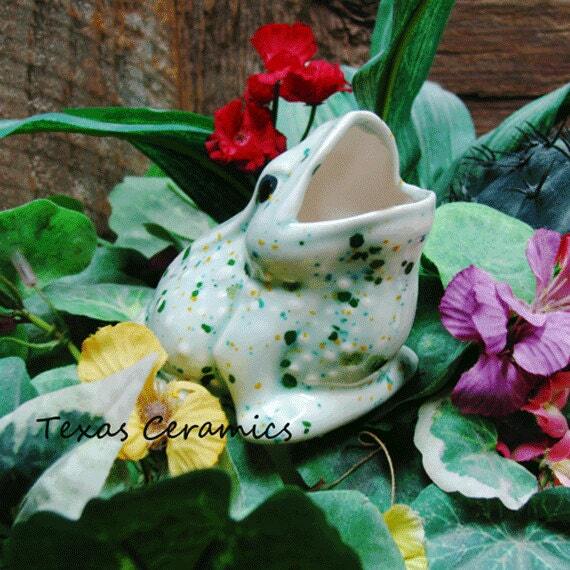 Small waterer...perfect for the garden window plants! Well packed and quickly shipped!